Home Bar and Kitchen | Pub Quizzers | Find a pub quiz near you, now. Pub quizzes take place at Home Bar and Kitchen, High Road on Wednesdays (weekly) at 20:00. Entry is £2.00, you can have up to 7 people on a team. There are prizes of cash, drinks, food. Happy quizzing! Fantastic weekly quiz with a £250 jackpot as well as a prize for the losing team too! 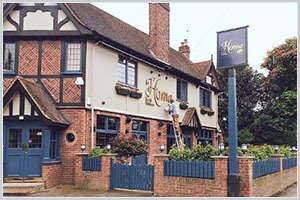 Themed quiz last Wednesday of every month - theme decided on social media @HomeIckenham Tell Us More About This Quiz!